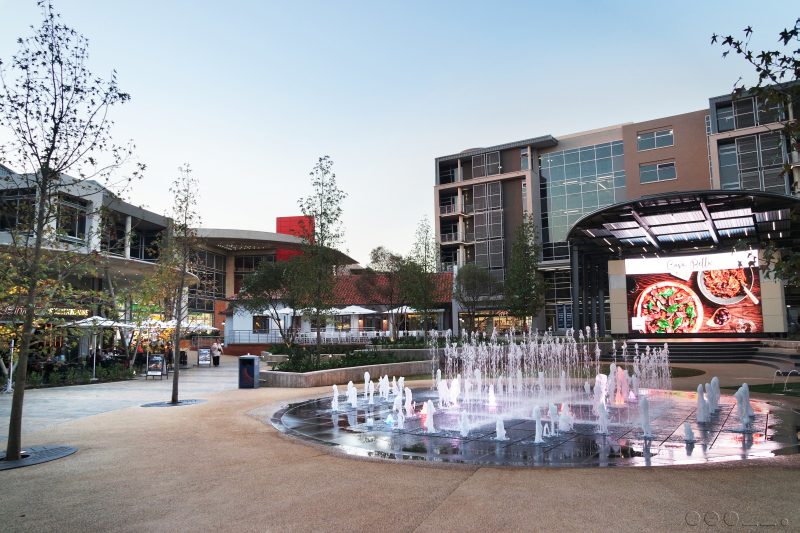 The newest mixed-use green precinct in Pretoria, Loftus Park, is a landmark development aimed at creating a space where people can experience excitement, leisure, fun and relaxation within a convenient commercial environment. 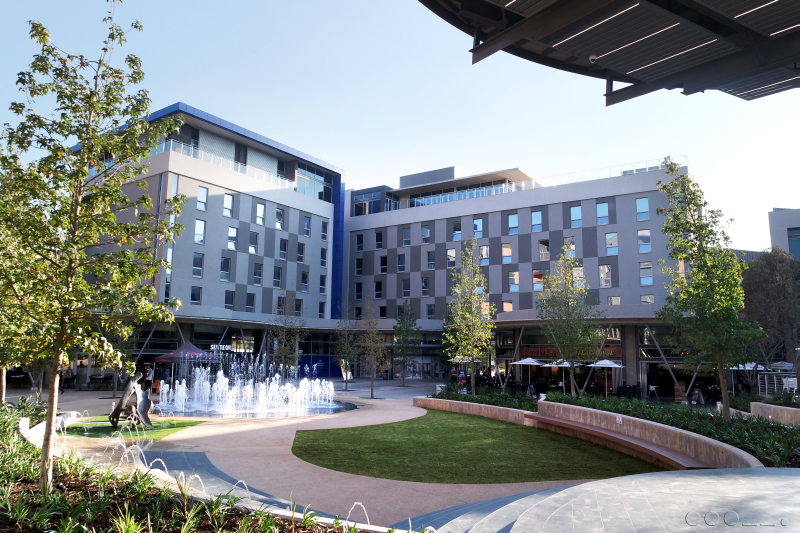 The completed first phase includes an open-air piazza surrounded by restaurants, convenience retail, a hotel, a premium Virgin Active health club, additional parking for events at the Loftus Stadium and approximately 29 000m² of A-grade office space. A new 152-room Protea Hotel by Marriott, with breathtakingly panoramic rooftop views of the city, will also open later this year. High-speed fibre options enable seamless integrated connectivity and state-of-the-art security includes high-tech access control with number plate recognition. 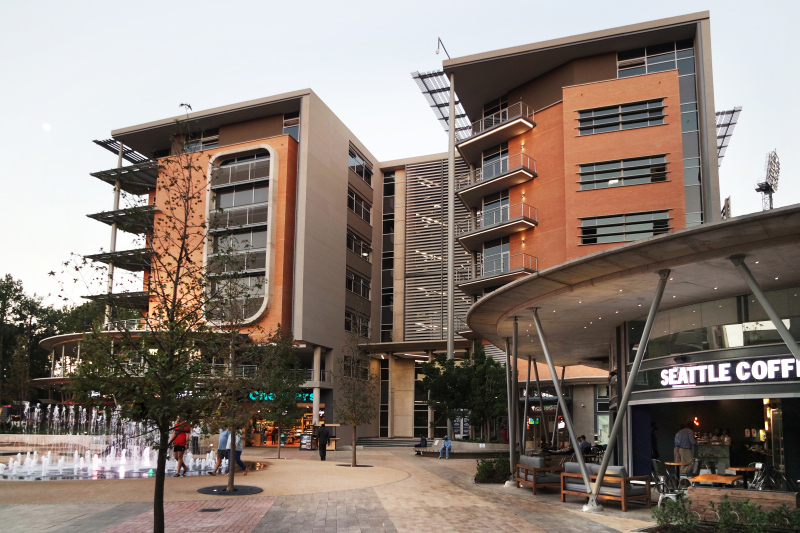 The precinct also boasts excellent walkability and connectivity, being in close proximity to the Tshwane Rapid Transport System and a Gautrain bus stop that connects it directly to the Gautrain network. The performance stage will host a variety of performing arts such as music, drama and other live events. The official launch in the first week of May was attended by the executive mayor of the City of Tshwane, Solly Msimanga, and celebrated by the owners and developers, Johannesburg Stock Exchange (JSE) listed diversified Real Estate Investment Trust (REIT) Redefine Properties (JSE: RDF), property developer, Abland, as well as tenants and other key stakeholders in the project. Situated right next to the legendary Loftus Versfeld Stadium, in close proximity to schools, the University of Pretoria, embassies and museums, Loftus Park is surrounded by a rich heritage of sport, culture and education. This surroundings, together with the client’s brief to create a “people’s place” and inspiration from precincts in the United Kingdom (UK) and Germany, inspired the introduction of different axes in the precinct focused on pedestrian flow and a public approach. It also informed the placement of the amenities around a sunlit piazza with water features, a performance stage and digital screen set in a park-like landscape. Art, in the form of sculptures, was positioned strategically as focal points within the precinct. While the architecture portrays a modern, yet sensitive contemporary expression, the focus is on sustainable buildings. Expected to earn a Green Star building accreditation, features include greywater harvesting, back-up generators and a 48-hour emergency water supply. Utilising off-shutter concrete and face bricks in harmony with other materials, the development blends with the environment, the stadium and the adjacent Clydesdale residential area, both in scale and height. A light well channels ample natural light down into the parking basement. Phase Two of Loftus Park will add another 7 600m² to the development, with a proposed hospital. Then 13 000m² of office space will be introduced in Phase Three. Once the demand-driven development is complete, it will offer about 55 000m² of space centred on its community and the important business of healthy, balanced living. Full thanks and acknowledgement are given to Redefine Properties, Abland and the rest of the design team for the information and photos provided. The Loftus Park precinct will serve as a temporary exhibition space where the best performing art students from the University of Pretoria will get the opportunity to display their work. • Bulk earthworks: 260 000m³ excavated – 43 000 carted trips. • Concrete used: 50 000m³ – 40 Olympic size swimming pools in volume. • Steel: 6 215 tons of reinforced rods. The Eiffel Tower used 7 300 tons of steel. • Piazza: Green Star rated. • Jobs created: 1 500. • Parking bays: Over 2 000. • Transport: Close to BRT routes and Gautrain station. • Servicing: Embassies in the catchment area. • 5 schools in close proximity. • Protea Hotel by Marriot: 150 rooms. 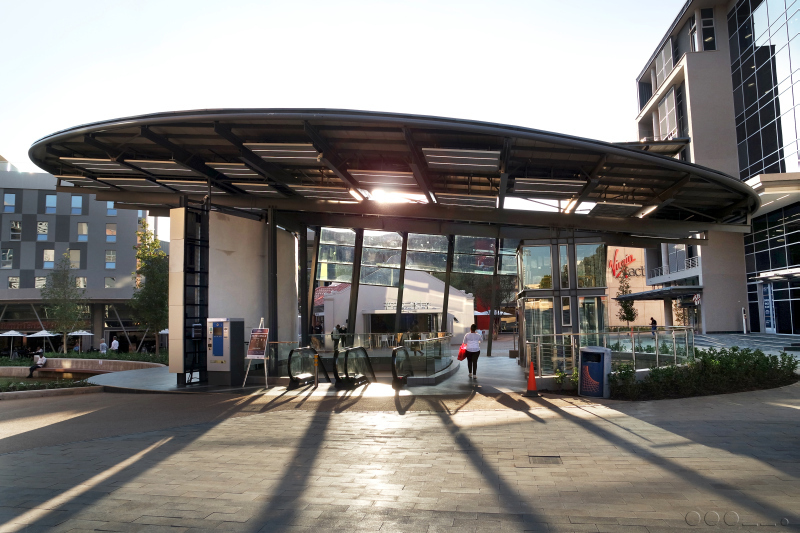 Caption main image: Different axes in the precinct are focused on pedestrian flow and walkability, linked to public transport networks.